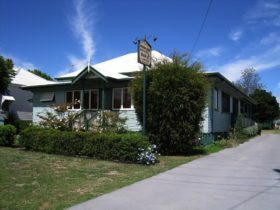 Sitting gracefully on the banks of the Condamine River, historic Warwick – known for its roses and rodeo – features some of the state’s finest original sandstone buildings. 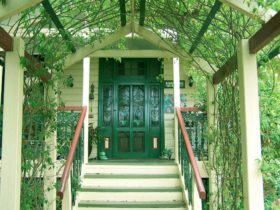 From here it’s an easy drive to explore the friendly villages and small towns of the Southern Downs. 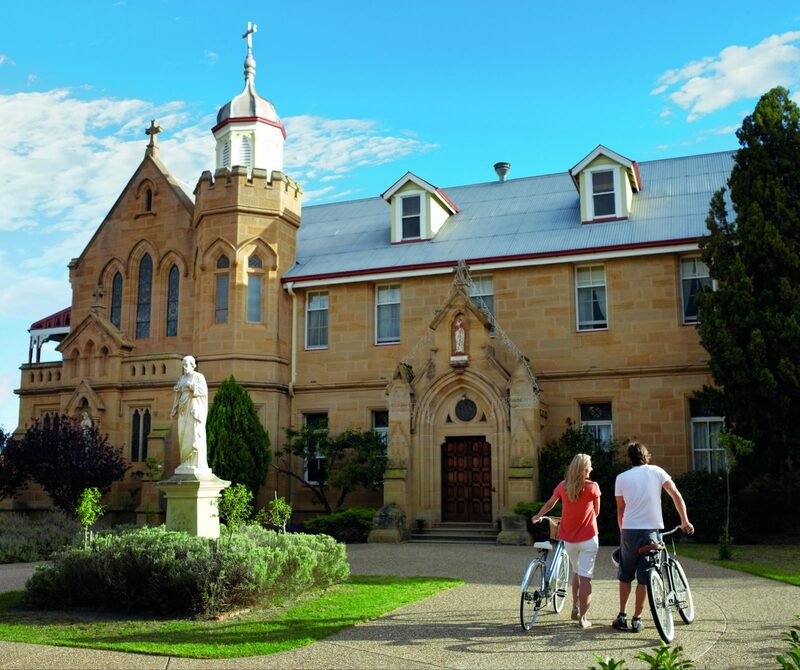 Settled over 150 years ago, the town is rich in “Heritage and Historic Building Trails” featuring a number of well-preserved churches, cottages, railway stations, schools and monuments – each with its own story of old. One of the most interesting stories is that of Thomas Byrnes whose imposing statue stands in the main street – the talented son of poor Irish immigrants, he rose to be Queensland Premier in 1898 and after just five months in office, tragically died of pneumonia. Two must-see attractions along the trail are the Warwick and District Historical Museum – the best place in town to discover life as it was from the 1890s to the 1950s, and Abbey of the Roses – formerly Our Lady of Assumption Convent, built for the Sisters of Mercy. 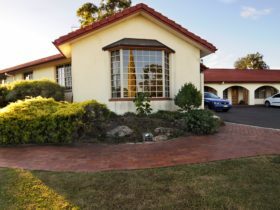 For almost 100 years it formed the “heart” of the extensive Catholic community in Warwick; in its new life it is a popular boutique guest house and function centre. In testament to its reputation as the “Rose City”, rose plots are prolifically planted throughout Warwick’s Central Business District and can be seen at the Visitor Information Centre, the Warwick Art Gallery, the Warwick and District Historical Society Museum and in various plots on the northern approach to the city. 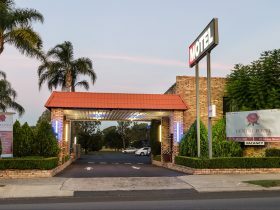 Known as the “Horsepower Capital of Australia”, Warwick is home to the Warwick Rodeo – Australia’s most famous, held each October, as well as Morgan Park Raceway – host to world-class motor sport events. From a dirt track in 1965, Morgan Park Raceway has evolved to become one of Queensland’s premier motorsport venues incorporating a drag-racing track that attracts Australia’s top competitors. Morgan Park’s first-rate equestrian facilities played host to the Polocrosse World Cup in 2003, 2007 and will again in 2019. 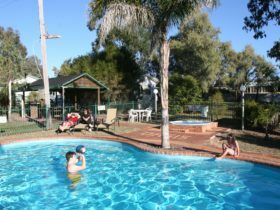 Warwick is an Urban Location area within the local government area of Southern Downs in Queensland, it is located approximately 128kms from the capital Brisbane and extends over an area of 25.14 square kilometres. Warwick has a recorded population of 12222 residents and is within the Australian Eastern Standard Time zone Australia/Brisbane. If you are planning a visit to Warwick we’ve put together some of the things you can see or do while you are here. These include, places to stay, tours and attractions, some upcoming events and places where you can grab a meal. Go ahead, try one of the buttons above. Every destination has something worth seeing so start exploring… If you know Warwick and think we’ve missed something, let us know and we’ll share it here.